Today was TD1 (training day 1) of a 2-day Performance Pistol Process class taught by Frank Proctor. Spoiler alert: Frank is a legitimately great instructor, I’m enjoying his class tremendously, and regardless of your skill level with pistol I highly recommend taking one of his classes. It’s been said that overcoming adversity on the way to achieving your goals makes victory all the sweeter. 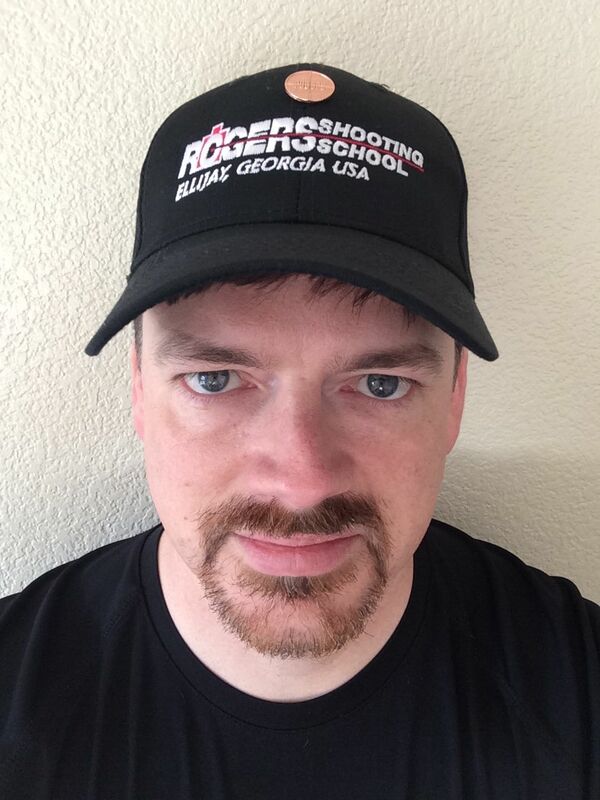 In the case of Rogers, I could have used just a little less adversity… But earning a Basic rating on my first trip there, having taken no formal pistol instruction before attending, was sweet indeed. I originally set out to construct an easy-to-follow narrative about my week at Rogers, but I kept getting self-conscious about how it ended up being all about me. In the interests of actually getting this finished and published, I’m going to deviate from the first-person travelogue format and instead share the most interesting stories, observations, and tips gleaned from my time there. Apologies for the extended pause in the posting schedule. Sometimes life gets in the way of the fun stuff. Now resuming your regularly scheduled programming, with a new article for your enjoyment at 0900PDT/1200EDT tomorrow. Obata Toshishiro-sensei, who brought Toyama Ryu to the US post-WW2. Throughout my adult life, I’ve generally had some form of get-out-of-the-house activity to keep me reasonably fit and somewhat sane. Until a few years ago, when my schedule got in the way of making it up to Oakland 2-3 times per week, I had the privilege of learning Toyama Ryu Battodo at Suigetsukan Dojo under Sensei Mike Esmailzadeh. Yes, I’m an actual swordfighter in the tradition of the Japanese warrior class — not the most marketable skill, but fun to trot out at boring parties to spice up a conversation. It was a bummer when I had to stop going after five good years of study. Fast-forward a few years after my swordfighting studies came to an end: I could sense that I was getting sedentary and un-fit. (It was something of a clue when my wife observed “You’re packing on a few pounds there, aren’t ya?”) On a trip to rural northern California to do some camping and shooting at a friend’s ranch, one of my kids took a cameraphone picture of me in profile. It was… not flattering. In fact, I had apparently developed into my genetic predisposition: tall, skinny guy with belly fat. Before the week was out, I had signed up for the mandatory Crossfit Fundamentals class at what is now Homegrown Crossfit. Trevor On The Trigger: Now available on Facebook! If I were more FB/Wordpress marketing savvy, I’d probably have a Like button in this post… 🙂 For your point-and-click convenience, there is now a Like button in the column to your right. My regular readers already know the story of my love/hate relationship with the HK P30 9mm with the V4/TGS LEM trigger that I bought this year and took to Rogers Shooting School. If you’re new ’round these parts, please take a moment to read the most consistently popular article on my blog. If you have several hours to spare, check out the epic discussion it spawned over at pistol-forum. You click Facebook Like button now!